Opus Place is a new condo, townhouse and single family home development currently under construction at 98 14th Street Northwest, Atlanta. The development is scheduled for completion in 2020. Sales for available units range in price from $650,900 to over $4,336,900. Opus Place has a total of 382 units. Sizes range from 852 to 3997 square feet. At 53-stories, No.2 Opus Place will soon be Atlanta's tallest residential tower with truly unparalleled views. On 14th Street, in the heart of Midtown and walkable to all Midtown has to offer. 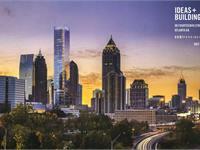 With the highest level of amenities and services, No.2 Opus Place sets the new standard in luxury living for Atlanta. Featured amenities include 2 pools, private cabanas, fitness center, spa treatment rooms, outdoor movie wall, outdoor kitchen, private dog run on the 9th floor, IMAX screening theater, chef's demonstration kitchen, and on-site fine dining. Unparalleled staffing includes 24/7 concierge, valet, bellmen, wellness director, spa attendant, lifestyle curator, and on-site property management. Sales gallery with furnished model now open - schedule an appointment or visit us today! 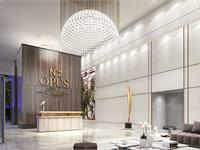 Your inquiry will be delivered to the Opus Place sales team, who will send you more information about this development.